The iPhone XR went on sale today around the world and it is considered one of the best value iPhones. Launched about a month after the iPhone XS and iPhone XS Max, the iPhone XR has a starting price of $749. IHS Markit principal analyst of mobile devices and networks Wayne Lam recently published a report about the significance behind the iPhone XR. The iPhone XR was the “one more thing” device that Apple CEO Tim Cook presented at the iPhone event in September 2018 following the Apple Watch Series 4 and iPhone Xs announcements. The “one more thing” line at Apple events — which was popularized by late Apple co-founder Steve Jobs — is generally used for Apple’s game changer devices. But rather than using the “one more thing” moment to highlight new technology, Apple decided to present the lower-cost variant of this year’s flagship smartphone line. 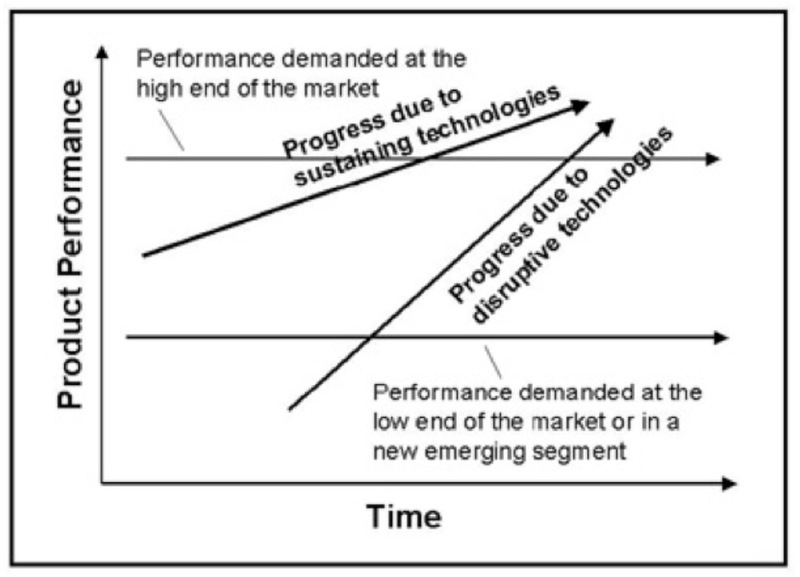 In his report, Lam cited the theory of the disruptive innovation published in the book “The Innovators Dilemma” by Harvard Business School professor Clayton Christiansen to make the point about the iPhone product line progressing so far in the marketplace that it over-shot the performance level demanded for it at the high end of the market. In the diagram above, Lam said that Apple is considered the “sustaining technology” and the iPhone Xs and Xs Max represents the progress above the market demand line. Even though there is strong demand for premium smartphones, Apple’s marketing team knows that a substantial amount of consumers will not be able to rationalize the higher cost purchase especially when there are a number of competitive alternatives. What are some of the compromises that Apple made with the iPhone XR? The iPhone XR has a 6-inch LCD rather than an OLED screen. And the iPhone XR has a single camera rather than a dual setup of the iPhone Xs. 3D Touch was also removed from the iPhone XR and replaced with interactions in software that mimic this feature. The LTE radio in the iPhone XR is CAT-12 rather than the gigabit-per-second CAT-16 radio in the iPhone Xs.